Dan Cleary's days as a Detroit Red Wing may be over. 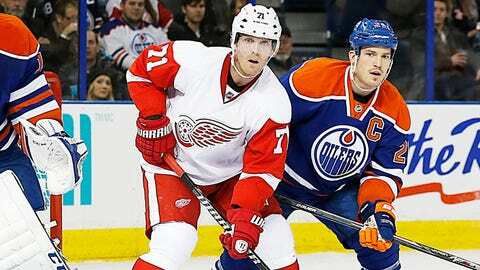 Detroit placed the 36-year-old winger on waivers. With the emergence of Dylan Larkin giving the Detroit Red Wings no choice but to leave him on the opening night roster, and the expected return of Jakub Kindl off of the injured reserve list, the Red Wings were forced to cut a player from the opening night roster that may not have been expecting it. That player is Dan Cleary. The Red Wings have have placed Cleary on waivers, according to Sportsnet’s John Shannon. Should he go unclaimed, Cleary will report for the Grand Rapids Griffins in the AHL. Cleary has spent the last 10 seasons with Detroit, but he played just 17 games last season. He recorded just one goal and one assist. Detroit opens up their season this Friday against the Toronto Maple Leafs.